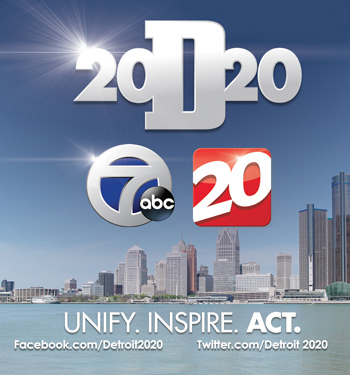 Thousands Dine Out for Thanksgiving in Michigan – download here. Six Thanksgiving Food Safety Tips – download here. 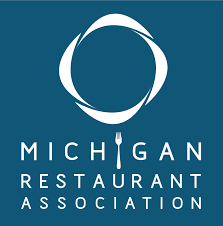 The MRA is the recognized leader of Michigan’s hospitality industry, providing essential services to the food service community. 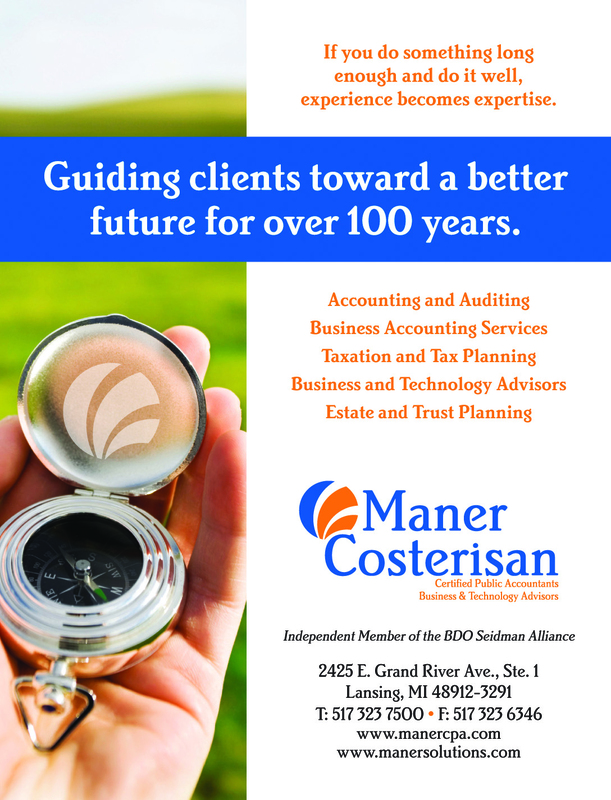 Founded in 1921, the MRA represents nearly 4,500 Michigan food service establishments. The industry plays an integral role in Michigan’s economy, employing more than 421,000 people and creating $15.4 billion in annual sales. 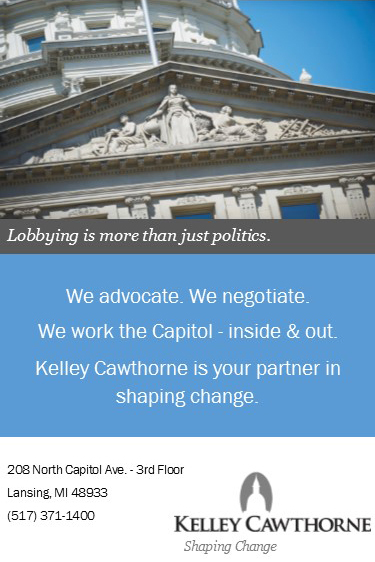 The MRA’s mission is to enhance the food service and hospitality industry through advocacy, education, and leadership. MAB Member Services: Want Cash Back for Electric Energy Usage? 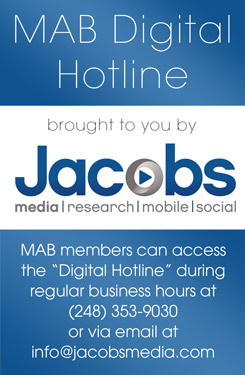 Call MAB! are eligible for an exemption on sales tax on energy? 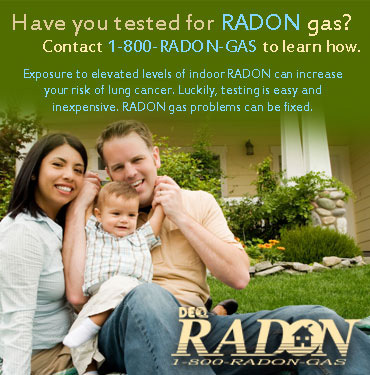 If you have not had a FREE MAB Energy Audit by EnStar, you may have left money on the table. The MAB members that have participated in this program have received, on average, $4,800 up to $40,000 in refunded taxes from their utility companies. Plus, they save about $1,200 annually at no cost and little to no effort on their part. EnStar’s experienced energy specialists will assess your station’s energy usage and your energy bills to see if you qualify for an energy tax refund. EnStar will do all the work, including applying for your state tax credit. If accepted, all you owe is 50% of the credit returned to you. In the future you will continue to receive the benefits of a tax reduction for your energy saving efforts. EnStar can also make suggestions for additional energy and money saving measures you can make on a daily basis. Visit www.enstarenergy.com for more information. Start the process of getting your refund today by contacting MAB’s energy partner Enstar Energy. Your contributions to the MABF help students to realize their dreams! 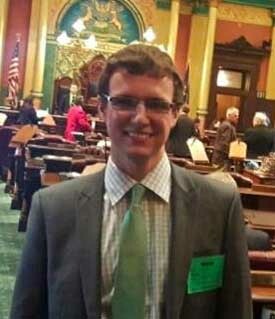 Here, one recent scholarship winner shares his experiences and goals for the future. Learn more about the MABF Scholarship program here and help to support these scholarship programs by donating here. I graduated from Marysville High School in 2013 and then went to St. Clair Community College (SC4) for two years, where I graduated with an associates degree. I then transferred to Michigan State in 2015 and am now a senior in the Media and Information Department. My broadcasting experience dates back to freshmen year of High School when I started hanging around Liggett Communications (WPHM, WHLS, WHLX, WSAQ, WBTI) in Port Huron as an intern. As a student at SC4, I returned to Liggett as morning talk show producer and also did various other news and engineering assignments. I also was involved with SC4’s college radio station (WSGR). Following my transfer to MSU last year, I found a new home at MacDonald Broadcasting (WILS, WXLA, WHZZ, WQHH), where I remain today, doing just about everything from news to engineering. Check out Caleb’s LinkedIn profile here. 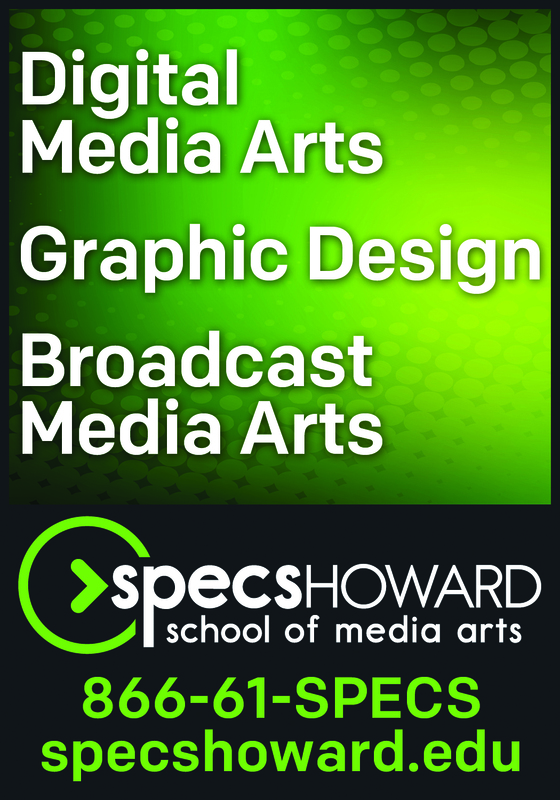 What made you want to pursue broadcasting as a career? I grew up in a family where the radio was always on, so I think that really influenced my interests. Since I’m from a relatively small town, local radio was essentially the center of our community. I looked up to local Port Huron radio personalities (like Paul Miller at WPHM, who I bugged enough until he got me an internship there six years ago). I truly believe the power of audio can inform, entertain and enlighten better than any other mass media. I’m also a news and politics junkie and radio helps to feed this interest. What is your favorite class you have taken in school so far and why? My favorite class so far has been Dr. David McCarty’s Media Economics and Politics course at MSU. My aforementioned interest in politics is probably why I enjoyed it so much. I also like learning about FCC policy and the policy making process. Honorable mention goes to a geology class I took at SC4, which really changed the way I look at the earth. How has the MAB Foundation helped you in your educational journey? I’m a two-time scholarship recipient. As a High School senior I received a competitive scholarship that helped pay for my classes at SC4. And then this spring, I received the Bill Burton scholarship which is helping pay for my classes at MSU. The MABF has made my education more affordable and my dreams of a career in broadcasting more attainable. Furthermore, participating in the Great Lakes Broadcasting Conference gave me the chance to network with others in the industry and sit in on very informational sessions. A goal of mine is to be in a management position at a group of radio stations. I really enjoy all aspects of the business, whether it is programming, engineering, news, or the business side. A career that would incorporate all of these would be ideal. Thanks to the MAB, my education, and work experience, I believe this is attainable. I’d like to thank everybody that I’ve crossed paths with in my educational and vocational experiences. I hope one day to have the same impact on a young broadcaster like many have had on me. WGVU Public Media (Grand Rapids) General Manager Michael Walenta recently returned from taking the WGVU Explorers on a 14-day trip to the Magnificent Cities of Central and Eastern Europe. 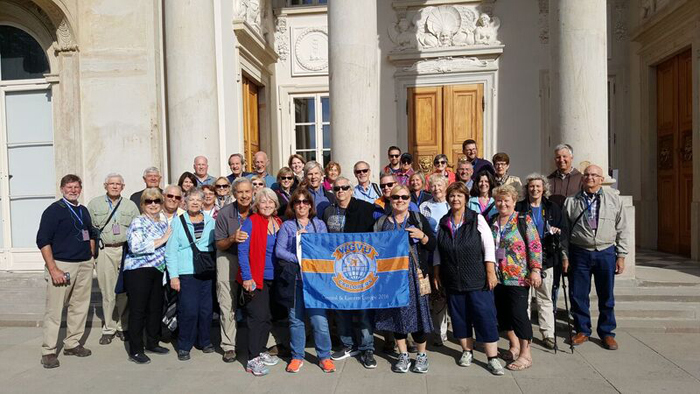 Michael and the WGVU Explorer travelers toured Berlin where they saw many sites including the Sans Souci Palace, the former residence of Frederick the Great, and saw the remains of the Berlin Wall including “Checkpoint Charlie.” Then it was on to Dresden, Prague and the Czech Republic. From there, they visited Vienna and took in a classical concert and lovely dinner consisting of local cuisine. They traveled to the beautiful city of Budapest, Hungary where they visited a Hungarian Horse Farm. Krakow, Poland was their next stop where they visited historic Old Town and toured Wawel Castle, a former residence of Polish kings. Auschwitz was their next stop where they saw first-hand the various prison cells and learned more about the history of the prison and many of the hardships that occurred within those walls. Warsaw was their last city on the tour where they experienced the local capital city. It was a very memorable trip, filled with history and education. For more information on an upcoming trip, visit wgvu.org/explorers or call (800) 442-2771. Let your Students Showcase their Best Work! Just a reminder from the MAB Foundation that the Michigan Student Broadcast Awards Online Entry System is open and ready for your entries! Please refer to the official Online Entry instructions at www.studentbroadcastawards.com for complete rules. So, spread the word…tell every student in Michigan that they are eligible to enter the competition for FREE with an opportunity to showcase their best work to broadcast professionals and compete with other Michigan student broadcasters! Current Events Program – for everyone! Content should include current events or political events. Entries will be judged on human interest, subject portrayal and production value. The Student Broadcast Awards Ceremony will again take place during the Great Lakes Broadcasting Conference (GLBC) Student Luncheon in Lansing at the Lansing Center on Wednesday, March 8, 2017. This Main Luncheon will include the awards presentation and scholarship presentation and is attended by broadcast professionals, students and guests. The popular GLBC Career Fair will immediately follow the luncheon, which will also include an area for students to network and mingle. 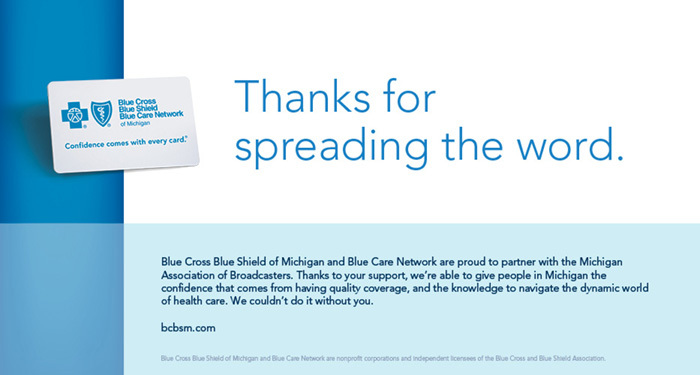 Contact the MAB Foundation office with any questions at [email protected] or via phone to 517.484.7444. Best of luck, and remember, if you don’t enter, you can’t win! The BCBC is this Friday! The Broadcasting Career Builder Conference (BCBC) is here! The MABF team is hard at work this week finalizing details for the BCBC. Students and Educators statewide will flock to the Lansing area on Friday to learn about new techniques in filming on iPhones, resume tips and tricks, how to write the WRITE way, and much more! Online registration has closed, but if you have any last minute students that would like to attend this important educational conference, they can register on-site! Remember, the professionals your students will meet at the BCBC can become the link they need to break into the broadcasting and media industry! This is the conference that will take your students to the next level in their career journey. Career Fair 12 – 1:30 p.m. Please contact Alisha Clack ([email protected]) with questions about the BCBC. 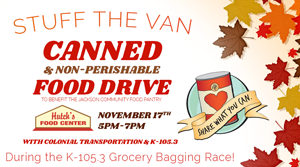 Jackson Radio Works’ WKHM-FM (K-105.3) (Jackson) is holding a “Stuff the Van” food drive this Thursday, November 17 to collected canned and non-perishable foods for the Jackson Community Food Pantry. The drive is being held in conjunction with the station’s Thanksgiving “Grocery Bagging Race” contest being held at a local grocery store. The contest features two contestants drawn from entries who will go head-to-head to bag a cart full of Thanksgiving groceries. The person who bags all their groceries first will win the entire cart full of items. For more information, visit the station’s website here. This week (November 14-19), Mid-West Family Broadcasting’s WYTZ-FM (Benton Harbor) is holding its 20th annual “Stuff-A-Truck” food drive in Southwest Michigan. The “Stuff-a-Truck” food drive helps the local community by providing necessary items to families in need. All donations will go to the Southwest Michigan Community Action Agency in Benton Harbor. Donations will stay in Southwest Michigan.The Southwest Michigan Community Action Agency’s mission is to assist people in economic need and enable them to achieve and sustain self-sufficiency, while respecting their diversity. 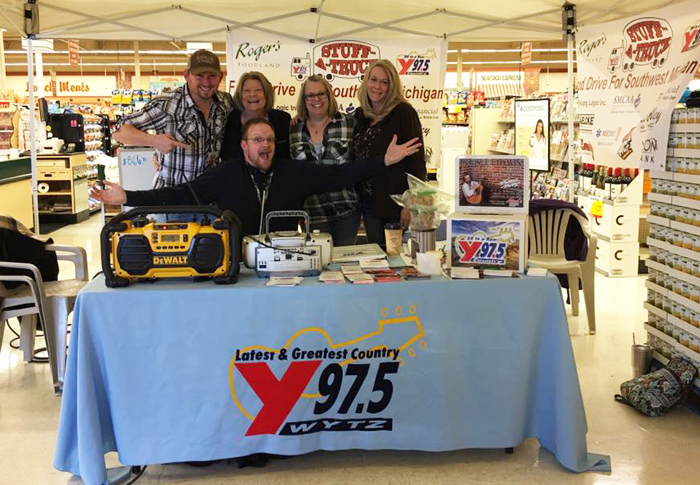 The station is broadcasting live daily, all day long, at a local grocery store in St. Joseph. State and Community Leaders have been asked to stop by and add their support to the food drive. Listeners of the station are asked to come out to the live broadcast to donate food items as well as make monetary donations to the cause! The station has also coordinated with area schools, who have chosen to participate by collecting food for the cause. 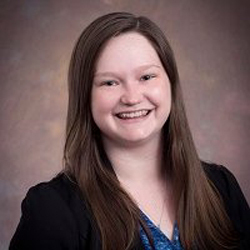 Crysta Manthei joined the Michigan Association of Broadcasters (MAB) this month as NCSA/Traffic Assistant. Among her duties is handling NCSA/PEP (Public Education Program) traffic. Q1: How long have you been in traffic? Crysta: I am brand new to traffic and started in the field on Monday, November 7. I have a lot to learn and am excited to start in this great business! Q2: What is your favorite comfort food? Crysta: My favorite comfort food is French Toast! I love a good breakfast for dinner. Q3: Which Superhero would you be, and why? Crysta: Flash, so I could think and move at the speed of light. Crysta: Spending time with my husband. Q5: If I had the chance, I’d really like to have lunch with…. Crysta: Leonardo DiCaprio, my favorite actor. Q6: What’s the best advice you have ever received? Crysta: Always be true to yourself. Q7: Tell us something about yourself that very few people know. Crysta: I have two birthdays, one that is on my birth certificate incorrectly and one that is my true birthday. It gives me an excuse to celebrate more! It seems that virtually every day, someone writes a blog post or gives a speech outlining what radio needs to do to ward off threats that are off on the horizon. Radio faces many challenges, and it’s hard to come up with clear solutions that can be executed at the local level. You’re not going to conjure up a competitive option to Spotify, nor are you in a position to negotiate with the car companies to ensure that radio will maintain its prime spot in the dashboard. There’s a lot that’s out of your control. But digital revenue is a significant opportunity for the radio business that is tangible and has a low barrier of entry. Every station can participate whether you’re in a big market or in an unrated one. On top of that, the shift of local dollars to digital is happening quickly and local radio stations can be in position to capitalize on it. Before I give them a chance to start pushing back, I then explain the obvious: radio revenue is flat, and there’s no projection of substantial growth on the near-term horizon. So, if a radio station wants to grow its revenue, the only solution is to diversify the approach and go all-in to re-structure the sales effort. This translates to instituting a higher level of sales expertise, as well as digital product development in order to take advantage of where local dollars are heading. BIA/Kelsey just released their local revenue forecast and you can sum it up in one word: DIGITAL. 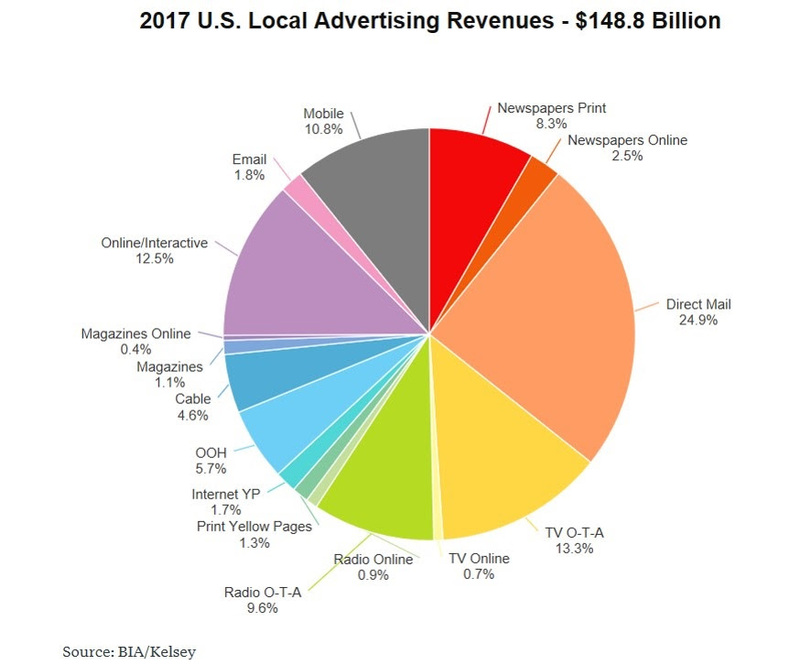 If there was any doubt that the future of local advertising is digital, the latest local ad revenue forecast from BIA/Kelsey confirms that revenue from local-focused online ads will exceed that of traditional ads aimed at local audiences by 2018. Please note that in the pie chart below, we aren’t talking about national data – this is where local dollars are going – the dollars that your sales team fights for every day. And if their main focus is on traditional spot business without a strong digital effort, then sadly, it’s not a fair fight. Click here for the rest of the study. 1. It starts at the top – As someone who owns a mobile company, I have learned that a digital enterprise works very differently from a traditional business like broadcast radio. It has different rules, language, sensibility and culture. In order to compete in this arena, your digital program can’t be an add-on feature. It requires commitment from top management of the station (or the company). Sales managers either need to become well-versed in the digital space or a Digital Sales Manager – possibly someone from outside of the radio industry – should be brought in. And it requires its own goals and P&L in order to provide accountability throughout the organization. 2. Create a digital sales culture – Clients who make decisions about digital media work by different rules and metrics than traditional media buyers. They use different language and assess value using different metrics. In many cases, it’s not even the traditional spot media buyer your AE is used to pitching. Nielsen doesn’t have currency in this world. While radio focuses on reach and frequency, the digital scorecard is based on measurable ROI. 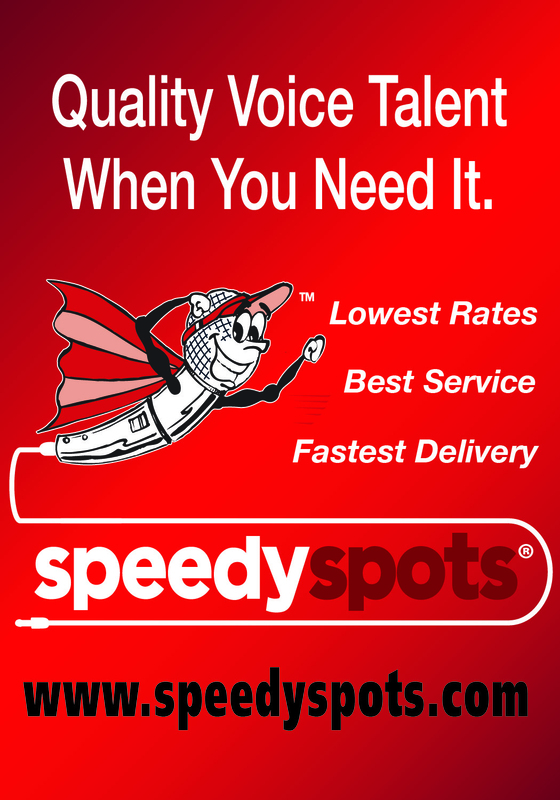 Traditional radio salespeople aspire to deliver hundreds of thousands of listeners in the hope that some of them respond to an ad. In the digital space, hundreds of listeners that take the desired action may be considered a success. This culture shift requires a review of the way sales commissions and bonuses are paid, leading to the achievement of real digital revenue goals in order to increase compensation. 3. Create digital products – Making banners available for sales does not constitute a comprehensive digital strategy. They are weak advertisements that have the lowest value to clients. In order to generate significant digital dollars, we encourage you to invest in the creation of digital products. These are programs outside of your normal broadcast efforts. For example, there is a major surge of interest in podcasting, and revenue has followed. We are working with many different clients on the creation of a local podcast strategy and are available to speak with you. 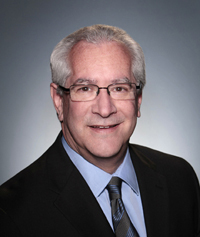 There are many different approaches that we have studied and we have an in-house expert – Seth Resler – here to help. It is also time to truly take advantage of the mobile revolution. BIA/Kelsey finds that mobile revenue has surpassed radio, yet most radio stations have an app. The problem is, too many stations are trying to sell mobile like it’s radio, with banners and ad insertions instead of by developing true digital opportunities in their apps. Mobile presents so many other opportunities for radio. Stations should consider creating local guides (think Yelp). Hometown bar or restaurant guides with local listings create a scalable revenue opportunity through sponsorships and participation fees. Your mobile app should be able to accommodate multiple sponsorship and content enhancement opportunities that can be monetized. jacapps has been in the app business for over eight years. We understand this space and no matter if we’ve developed your app or not, let’s get on the phone and discuss the multitude of ways your station can generate mobile revenue. 4. Change the scorecard – Historically, the only currency that truly matters in radio is audience ratings. It’s always been that way and not a whole lot has changed. Advertising revenue is dependent on ratings performance, so when asked to promote a stream or a mobile app, many programmers understandably balk. The success of their careers is based on ratings, not clicks. The same holds true for most air personalities, and by association, GMs and Sales Managers. I haven’t spoken to too many of our clients who enthusiastically share the number of podcast or mobile app downloads they have, or their streaming ranking on ComScore. Realizing that radio cannot abandon its major source of revenue and the ratings results that pay the bills, it is still logical that in order to focus on growth, the definition of success needs to expand and evolve. Bonuses need to be broadened to reflect digital engagement and growth. Sales goals need to encompass all potential revenue channels. Research studies must include questions about digital and not just the music styles a station “owns” or its perceptions among the other stations on the dial. The way radio does business is deeply entrenched. But the foundation that scales to produce revenue is shifting. A mindset change in radio won’t be immediate, but it is imperative in order to maximize this opportunity. 5. Modify job descriptions – Hiring salespeople with great contacts among traditional media buyers is no longer sufficient. Yes, these relationships are important, but marketing has devolved into a commodity-based relationship. Programmatic buying is removing the importance of selling, connections and relationships. And spot radio revenue is flat. The case for change writes itself. In 2017, it’s time to review all job descriptions, especially on the sales side of the building. We are living in a digital world and salespeople who refuse to adapt will eventually go the way of the dinosaur – or the buggy whip maker. 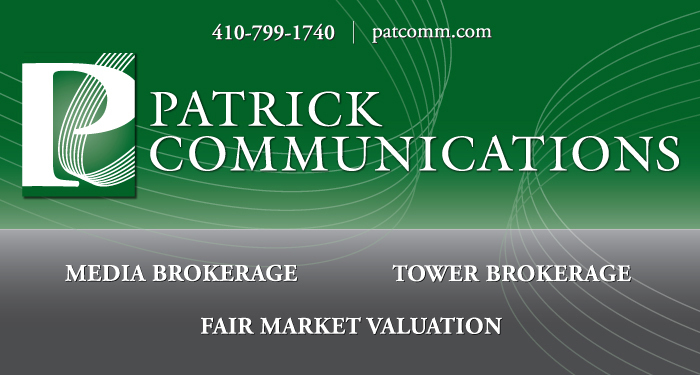 The status quo will cost your station revenue growth opportunities. But it doesn’t end in the cubicles. Programmers and GMs that don’t understand or grasp the potential of digital also minimize the opportunity. Job descriptions at all levels of the operation require reassessment. This is about changing a long-standing culture built around traditional radio. That’s the industry I joined back in the 1970s (yes, the ‘70s). But that world has changed and it’s necessary to think differently when hiring and setting expectations. There’s no going back. This shouldn’t be taken as another think piece on what radio should do. It’s about what radio must do. If your station or company is already down this path, go all-in. If you haven’t, get started yesterday. This is where the dollars are moving and where growth lies. It’s not a theory. It’s not a bet. It’s reality. I am available to speak with you about this in greater detail to identify ways your operation can take advantage of this opportunity. I hope 2016 was a successful year for you and your station and look forward to even greater success in the new year. Editor’s Note: The views and opinions of the above article do not necessarily reflect those of the MAB. Contact the MAB for information on the MAB’s official editorial policy.